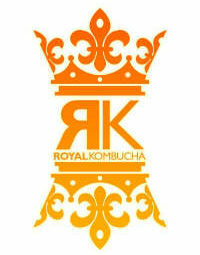 Here is a list of the items needed to brew your own Kombucha Tea. Brewing Kombucha is fun and easy and getting started is a breeze, you probably have most of these items already. Please be sure to read and follow the illustrated instructions we have provided. As with any food preparation, you must keep your work area clean in order not to contaminate your brew. As with any food preparation sanitation is very important. Failure to do so may result in mold growth in your ferment. In the event of contamination it is important to throw away your brew and start another. Every batch generates a new culture which some call a baby. If you practice saving cultures along your way you will have a backup culture. read about backup cultures in the article SCOBY Hotel. If you have any questions feel free to call us for free phone support. All of our cultures are Guaranteed to grow, If in the event your culture gets contaminated or doesn’t work we will send you another at no additional cost to you! Tea Green or Black-Use regular tea for your first few batches, organic may promote mold growth. Read more about tea selection here. Sugar- Regular granulated for your first few batches, organic may promote mold growth. Cloth, Coffee Filter or a Paper Towel- This prevents insect contamination. Make sure it is a tight knit. You can use a rubber band to hold it on the jar. Plastic Strainer- metal strainers can harm your culture due to rust. Once you have a backup culture, (after your first batch) feel free to experiment in using organic ingredients, but never use anything but a glass container and ALWAYS use distilled water.